Covering Tracks is a regular series in which we ask our favorite producers and DJs to recommend around 10 new (and not so new) releases. This Friday’s edition stars John Osborn, whose TANSTAAFL PLANETS label is gearing up to release a new EP from Joey Anderson on November 10. 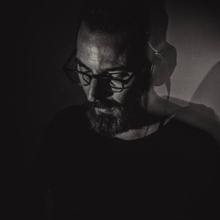 Stephen Brown has been around since the beginning, and his take on techno is always as solid as it comes, but this recent release really shows his diversity. It’s a house beast that seem to propel you forward, and once the synth strings come in, it takes you to that special place. Only people with this amount of experience and understanding of dance music can do this as well as Brown. I remember that, when this came out in 2001, I was mesmerised at how house could be so trancey. Now, it’s over tens years old and I still play it. Tribal trance house for journeys to a utopian future via The Light Fantastic. I grew up on FSOL, so they probably defined my tastes today. I got this first 12″ from the LP and listened to it while tripping balls in my bedroom in Lewisham, South East london. Each time I hear it, it takes me right back to that room in the winter of ’93. This was released on the Artificial Intelligence II compilation on Warp. I was tripping balls again, but this time in my mate Paul Spymania’s bedroom in Brixton in 1994. Early visions of the future that still excite me today. I got this record in Fat Cat. I remember Alex Knight playing it behind the counter. I rushed up to him and demanded a copy and to be told who it was by. “Shhh, its Mike Paradinas,” he said. I have now almost worn my clear vinyl copy out. I had never heard this Simple Minds track until this year at the Labyrinth festival. I played the Saturday night, and on Sunday I was getting loose in the afterglow of my set. Peter Van Hoesen had just played a phenomenal live/DJ hybrid set, and then, as the moon was hanging in the sky behind the teepee that Peter was playing in, he dropped this track. The crowd melted into one collective consciousness and tears of joy rolled down my face. I think this was what you could call “a moment,” and one which I will be forever grateful to Peter for. Shameless self-promotion here—this is the next release on my TANSTAAFL PLANETS label. It’s not the most “club-orientated” track on the EP, but it’s my favorite. Joey sent in around six tracks to choose from (which was not easy to do), but from the first time I heard this, I knew it had to be put on wax. Out November 10th. I am not normally a Henrik Schwarz fan, but this remix he submitted for the MASSE III Remix 12″ on Ostgut is incredible. At first, it may not sound like much, but the rhythms create so much tension and expectation. At the end, it shoots a synth line at you—not for long, but long enough for me to mix out of it and propel the floor another level up. This one was released on an excellent “ambient” compilation on Adam Marshall’s New Kanada label. It’s an ambient chill-out track that reminds of the days when there were ambient chill-out rooms in clubs. Tdoay’s promoters killed these rooms. Back then, the chill out rooms often had the best music that could be heard as you gurned in a bass bin at a location called The Vox in Brixton, London. Check out more Covering Tracks here and listen to John Osborn’s mix for Electronic Beats Radio here.